After hours viewing of current exhibitions The Everyday and Extraordinary and Hannah Perry GUSH at Towner art gallery, with talks by members and director Joe Hill. 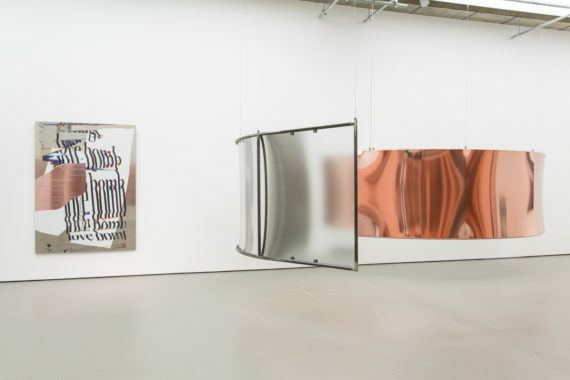 Image: Towner art gallery, Hannah Perry installation view GUSH, photo by Rob Harris. For our December event, Blue Monkey Network takes advantage of our special relationship with Towner for an exclusive out of hours viewing of Towner’s current exhibitions, The Everyday and Extraordinary and Hannah Perry GUSH. The notion of the found object as artistic material, content and subject-matter provides the inspiration for The Everyday and Extraordinary, an exhibition presenting a Wunderkammer of modern and contemporary artworks drawn from the Arts Council Collection. GUSH features large-scale dynamic sound sculpture, film and wall-based works, as part of a candid and personal exploration of mental and emotional health in our contemporary, hyper-networked society. Four Blue Monkey Network members, April Yasamee, Cat Ingrams, Satu Viljanen and Sally Colledge, will select pieces from the exhibition which hold a particular interest or resonance for them, and will talk to us about the work and thoughts arising from it from their own very unique perspectives. We will also be joined by Towner’s Director, Joe Hill, who has selected Hannah Perry’s GUSH as his focus. Our final event of 2018 will start and end with time for informal chat and festive refreshments. Please feel free to bring a bottle.